Earlier today(November 21st) in London, Nicole Kidman posed for pictures at her BAFTA 'Life in Pictures' Retrospective. The actress worked a sophisticated look courtesy of MICHAEL KORS COLLECTION. 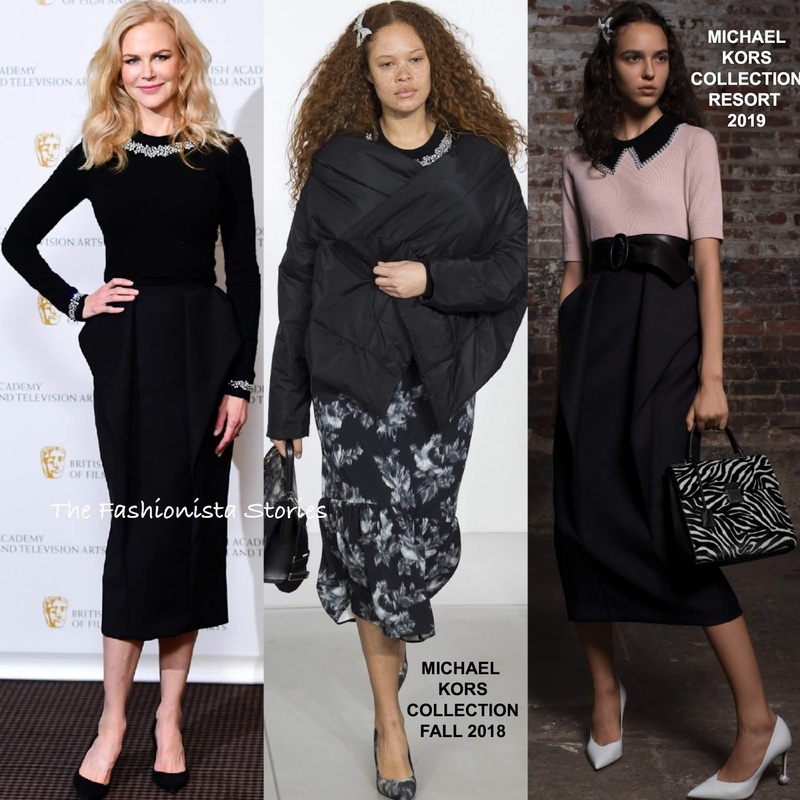 She wore the designer's FALL 2018 black crystal panel cashmere blend sweater and a RESORT 2019 black draped panel, midi skirt. In the look book, the skirt was belted at the waist but I think Nicole's look worked either way. Side parted waves, minimal makeup and black pumps rounded out her look.